AUBURN, Ala (EETV).- The City of Auburn and Auburn Public Library will be hosting an event that allows participants to decorate a pumpkin of your choosing on Wednesday, Oct. 18, from 3:30-5 p.m.! This week Wake Up Auburn brings you the latest in entertainment both nationally and locally. From discussing the latest headlines to Netflix news and the latest tweet that has gone viral, we are your morning brew for entertainment news! United States cell phone companies, T-Mobile and Sprint, may be merging. According to Bloomberg, the two cell phone carriers are putting the finishing touches on the pact and are wanting to release an official announcement within the next month. News of this merger began early September when both companies’ parents, Deutsche Telekom and Softbank, said they have been in frequent conversations about a stock-for-stock merger. Friday Night Fright Nights Looking for something to get you and your friends in the Halloween spirit this October? AUBURN, Ala. (EETV) - USA Netflix users will want to keep reading. The video streaming platform is changing up their show’s availability come October and they might be deleting something right out of your queue. 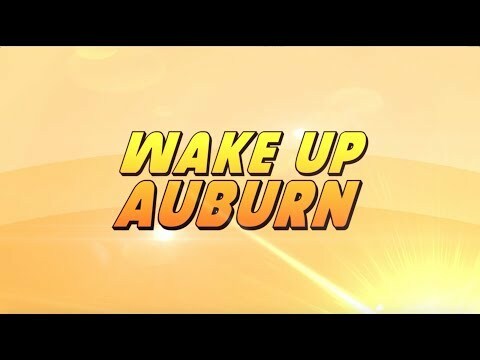 AUBURN, ALA. (EETV) - "Wake Up Auburn" is showing you a close look into the latest health craze in on campus dining - the acaí (AH-SAH-EE) bowl! 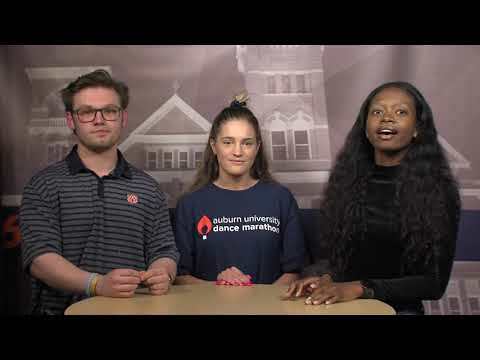 Auburn, Ala. (EETV) - Auburn University and The University of Alabama students are anticipating the Iron Bowl but in the meantime, each campus is taking part in an annual fundraiser to help those suffering from food insecurity in the state of Alabama. The campus-wide food drive, called the Beat Bama Food Drive at Auburn University or the Beat Auburn, Beat Hunger food drive at the University of Alabama, encourages students to engage in healthy competition while collecting food for the East and West Alabama Food Banks. 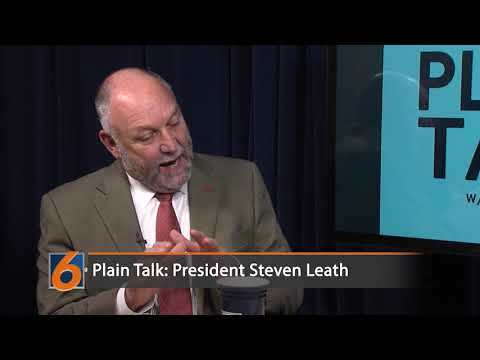 According to the Beat Bama Food Drive’s website, over 27,000 individuals in Lee County suffer from food security but over the last 23 years, the drive has delivered 5.5 million pounds of food to families in need around the state. Students are encouraged to donate canned goods in any of the orange and blue bins around campus. WAKE UP AUBURN: "NATIONAL TACO DAY"
AUBURN, ALA. (EETV) - Happy "National Taco Day!" 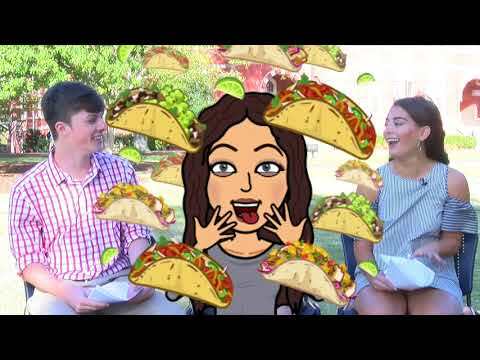 Today on Wake Up Auburn, we're discussing our favorite burritos, tacos and more that make tacos our definition of a staple college food. Americans love the dish - so much, that we ate over 4.5 billion tacos last year! We round out "National Taco Day" by visiting Salsarita's right here on campus where we taste test our own! Wake Up, Auburn! This week, we're bringing you the latest headlines in news and entertainment both nationally and locally. AUBURN, ALA. (EETV) – This upcoming Thursday , Auburn University will welcome former President Bush’s daughters, Barbara Pierce Bush and Jenna Bush Hager, to speak on Diverse Perspectives on Women Leaders in the new “Critical Conversations” speaker series. After growing up in the spotlight, Barbara Pierce Bush has gone on to become the CEO and Cofounder of Global Health Corps. 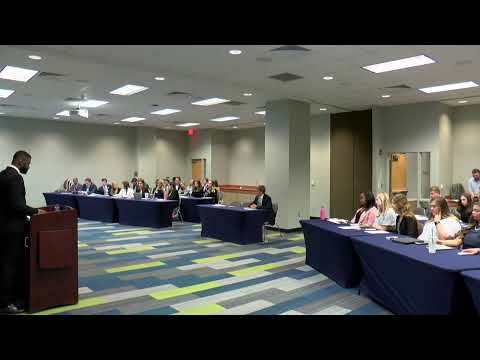 Auburn, Ala. (EETV) - Tiger Dining Senior Executive Chef Emil invited three student teams into the kitchen Tuesday night to battle it our Chopped style. The "COSAMwhiches", "Delta" and "Honors Cucina" battled it out for an hour over the stove working to defeat their opponents. The competitors were required to use a number of ingredients Auburn Fish, barley, Cattleman's BBQ sauce and heirloom tomatoes. Fifteen minutes into the competition Chef Emil entered the cooking area with a box of surprise ingredients. "Your challenge is to incorporate two of the following three ingredients into your dish: Vienna weenies, rice cakes and cinnamon candies." Each team took a unique technique in their preparation. The COSAMwhiches created a fish taco with a barley salad presented in an avocado shell. Delta took inspiration from the BBQ sauce preparing a BBQ fish presented family style for the judges. Honors Cucina Created a fish stew and a side of Bruschetta with melted cinnamon candies stung across the dish. AUBURN, Ala. (EETV) - In celebration of Customer Appreciation Day, Auburn students will find on-campus dining locations giving away free treats throughout the day. Where all Auburn students are required to have a meal plan, on-campus eaters will find today to be a little sweeter. It has been a huge month for Apple. After unveiling the new iPhone 8, iPhone 8 Plus, and iPhone X, the tech giant has now released one of the biggest iOS update to date. 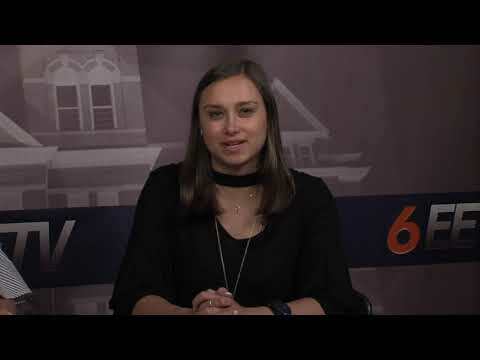 Auburn, Ala (EETV)- Auburn’s University programs council rebooted their semi-annual Auburn Airwaves concert after last semester’s hiatus this past Monday . The show hosted in the Auburn Arena included performances by The Score, We The Kings, and headliner 2 Chains. Students received discounted tickets to attend the show with most arriving just in time for 2 Chain’s hour long set. We The Kings lead singers joked that they didn’t know whether to call Auburn’s mascot the war eagles or the tigers but all confusion was put aside when a special appearance from Aubie came to close out their set. Music and TV lovers rejoice - Spotify and Hulu have teamed up to offer college students a bundle of the two services for only $4.99 per month. Keith Urban might think “Blue Ain’t Your Color,” but Crayola thinks otherwise. On Thursday, the staple crayon company, Crayola, announced a new shade of blue named “bluetiful” to join the current 24-count Crayola box. According to Fox News, the name “bluetiful” beat other potential names in a nationwide competition created by Crayola including “blue moon bliss, “dreams come true,” “reach for the stars,” and “star spangled blue.” “Bluetiful” is replacing the color “dandelion” in the Crayola 24-pack, making it the first time a color was removed and replaced since the original box was released. Opelika, Ala. (EETV) - As Hurricane Irma bares down on the state of Florida, the smallest evacuees in our area are finding comfort in an unusual place. O-Town ice cream in Opelika took to twitter inviting visiting families to come by their store to give their children a free Ice cream. One woman headed to Opelika responded to the tweet with an unusual request, a sweet treat for her fur babies. The store has seen a huge response since the tweet was posted, many thanking them for their kindness. AUBURN, Ala. (EETV)- Auburn has been ranked as one of The South’s Best Small Towns 2017 by Southern Living. Two Alabama cities Auburn (7) and Florence (10) made the list, which was determined by a survey of more than 22,000 Southern Living readers. Towns selected span across the south and share traits such as “a thriving downtown with locally owned restaurants, shops, and galleries; a touch of the artsy; loads of character; friendly locals; and, of course, a beautiful location." The list highlighted Auburn’s tree-shaded streets and old storefronts as elements that lend to its quality.